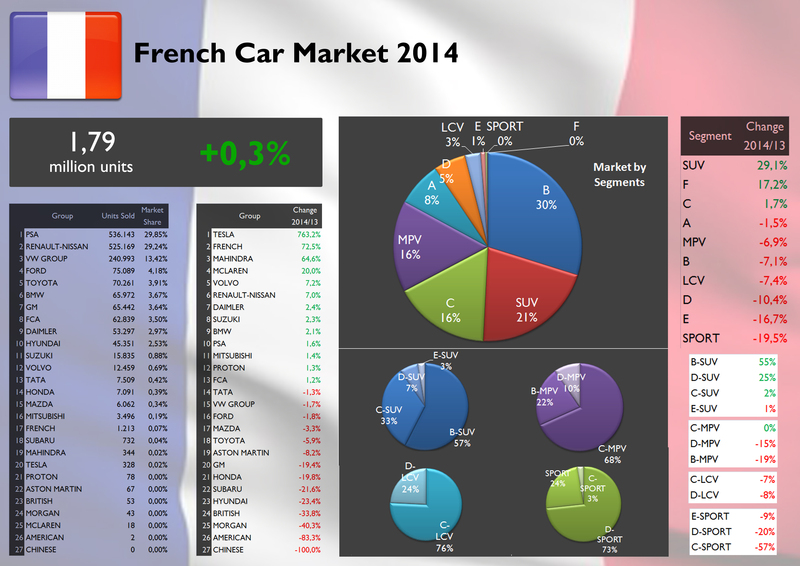 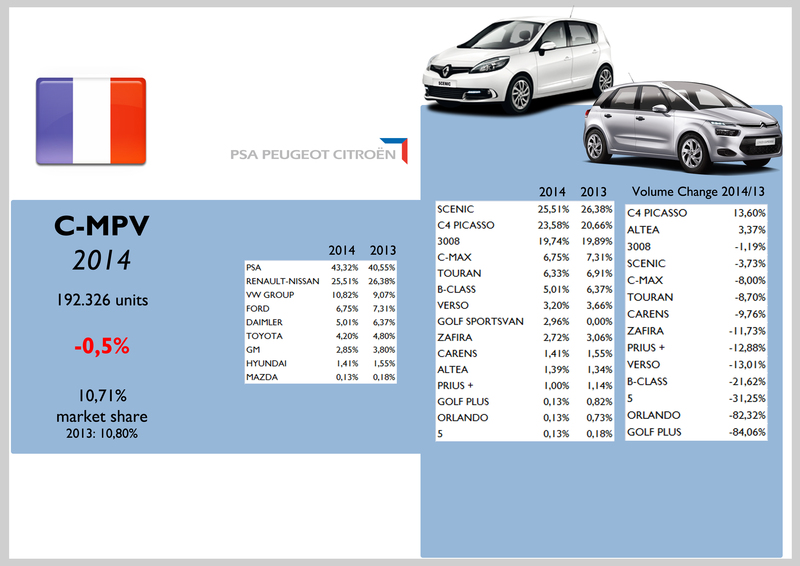 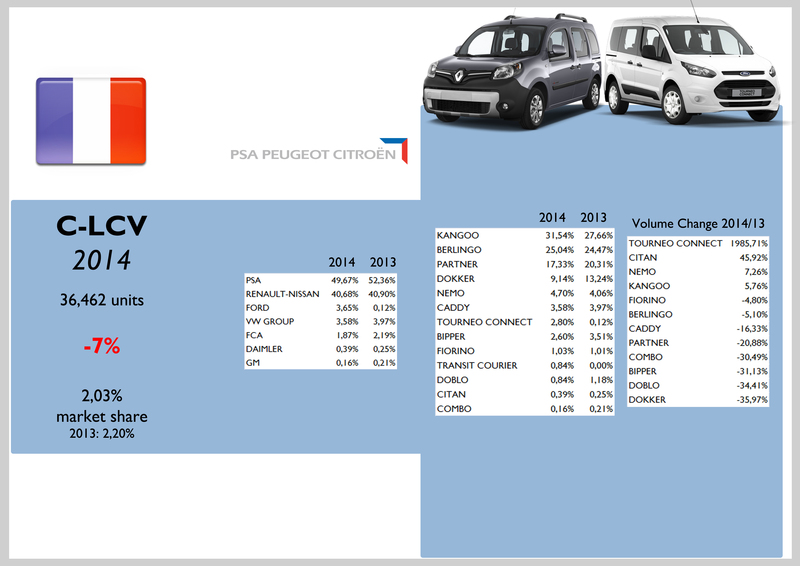 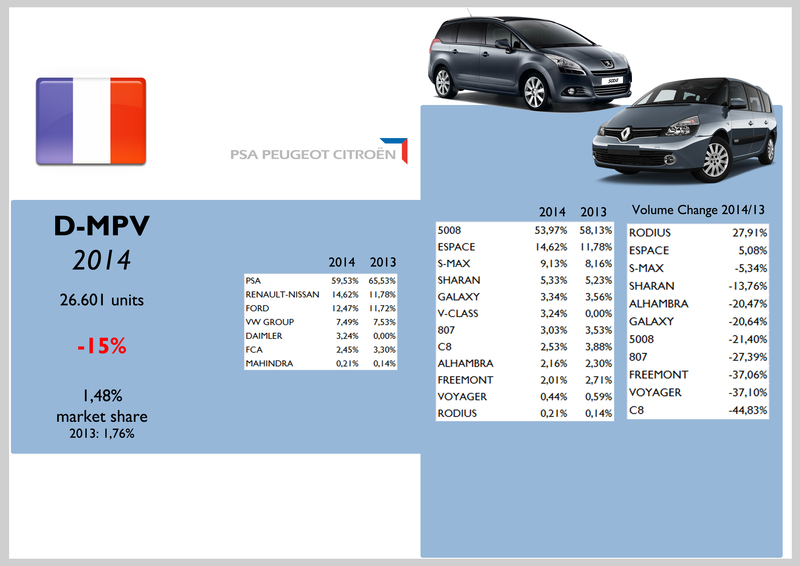 Last year passenger car sales remained stable in France, with the 2 local car makers increasing their share up to 59% of total market. 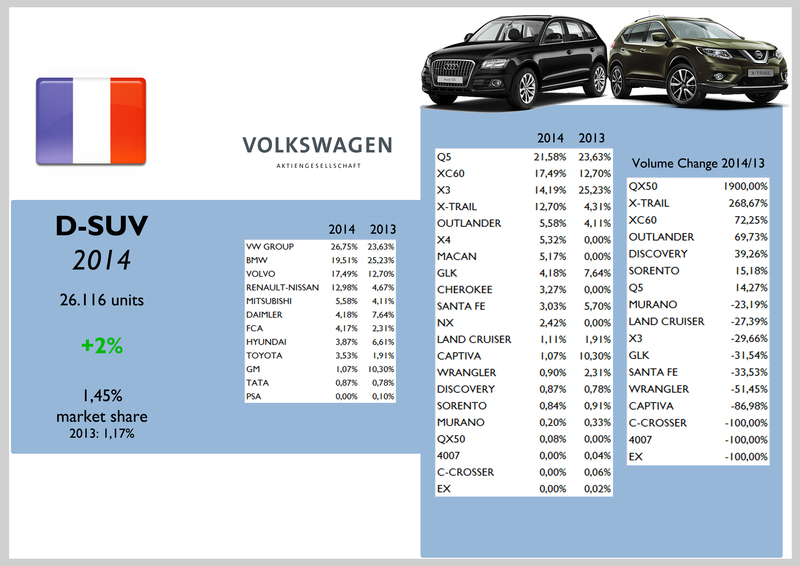 As it is happening in other European markets, SUVs continue to gain share while city-cars and subcompact cars (A and B segments) registered falls in their demand. 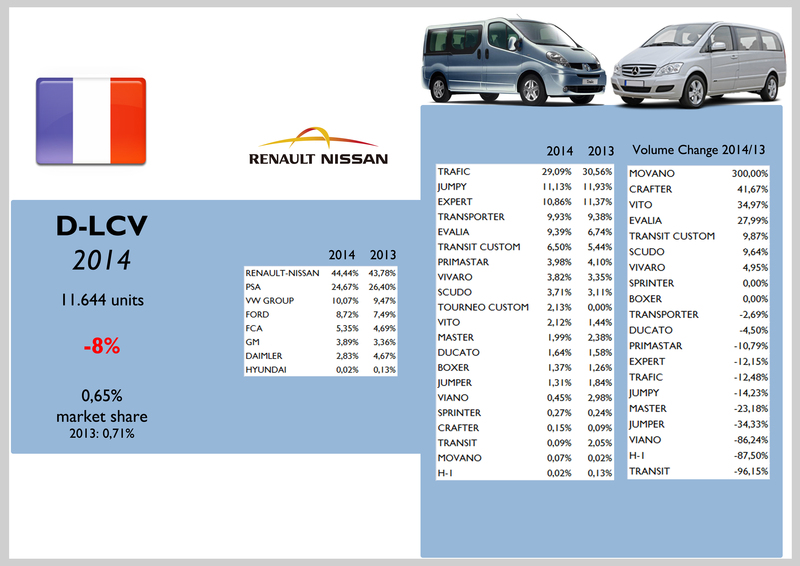 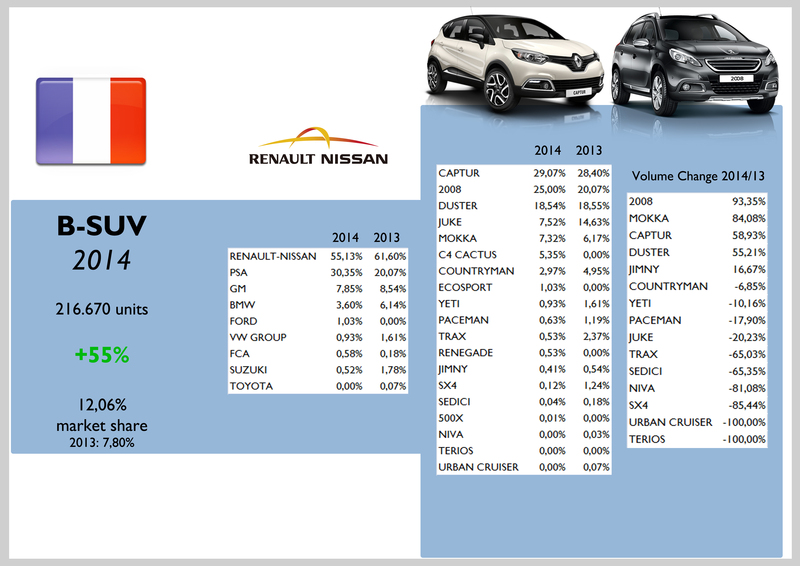 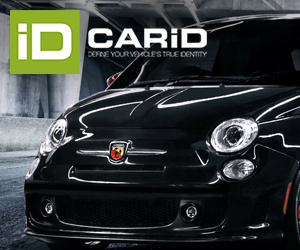 The B-SUV (+55%) had a direct impact on the registrations of those segments. 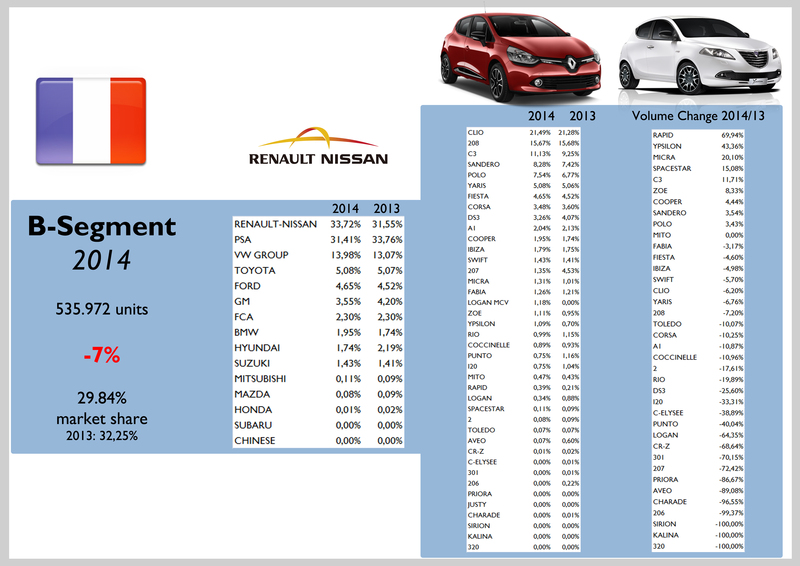 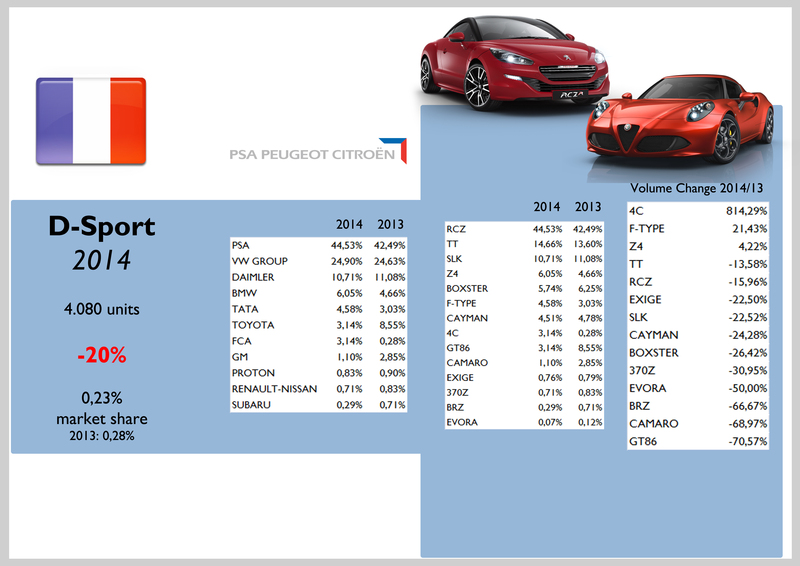 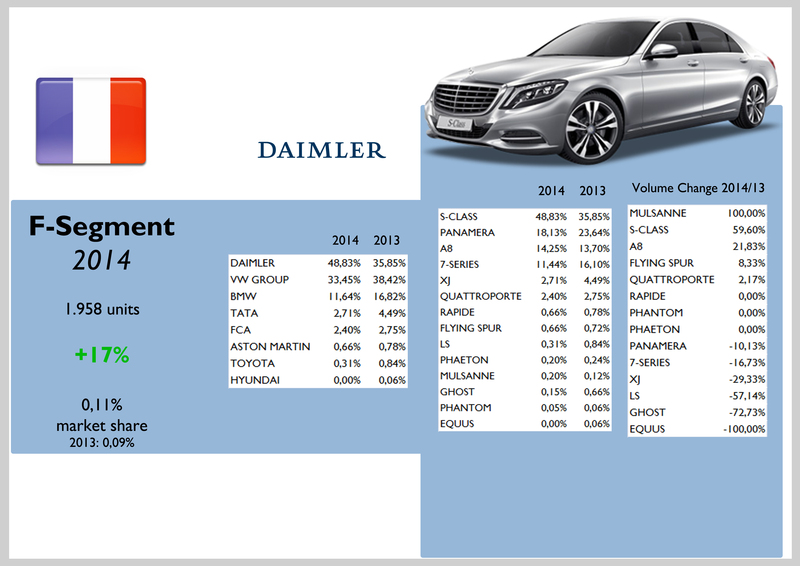 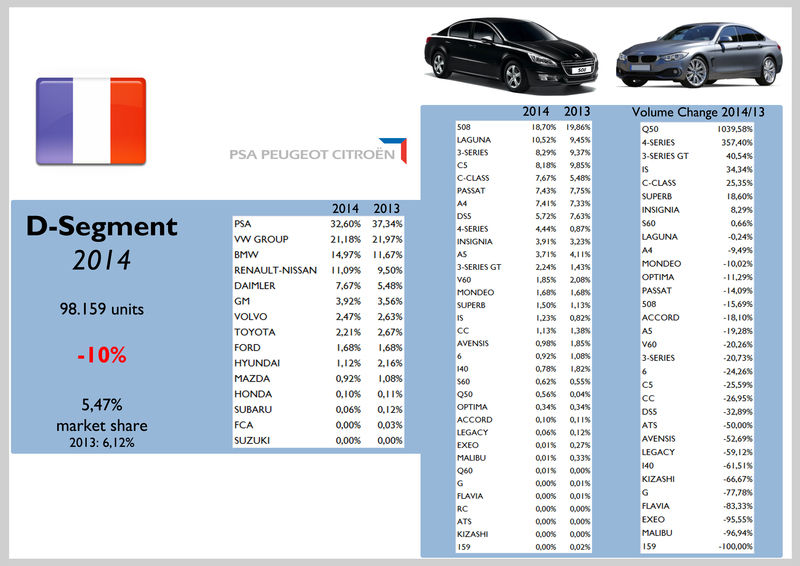 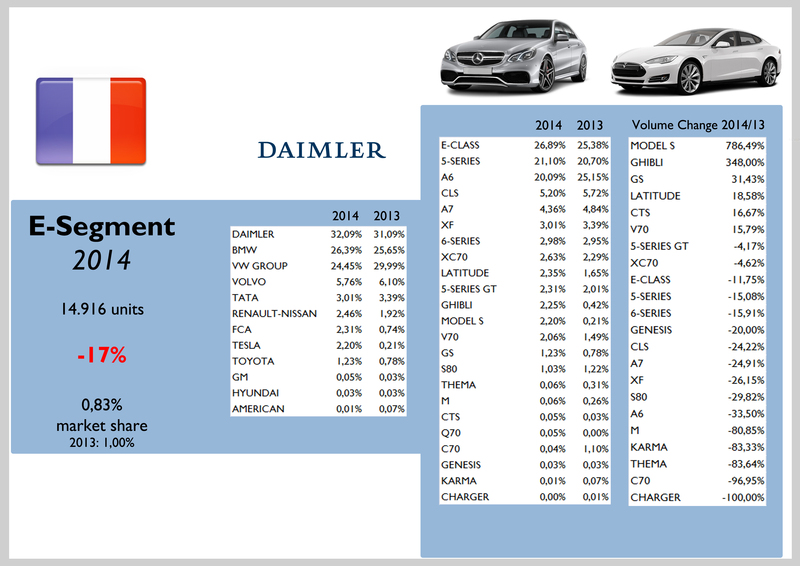 FCA along BMW and Daimler, were the only big foreign car makers to post positive growths during 2014. 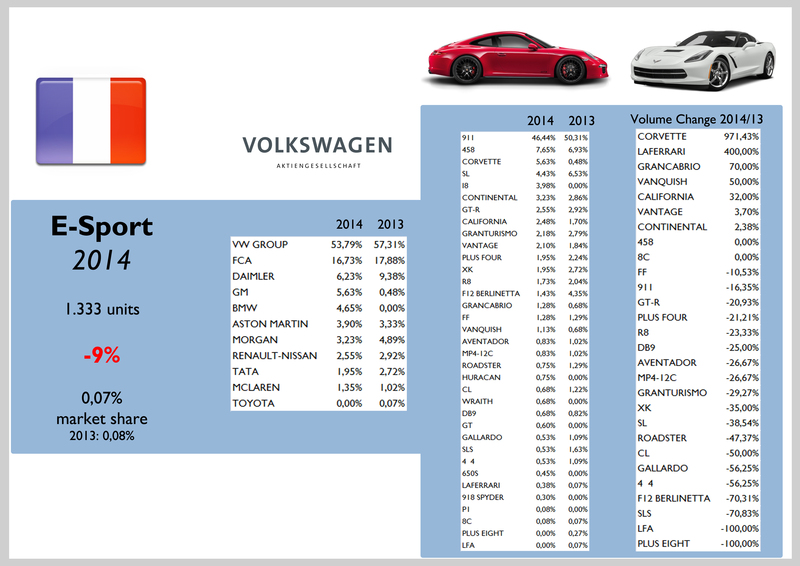 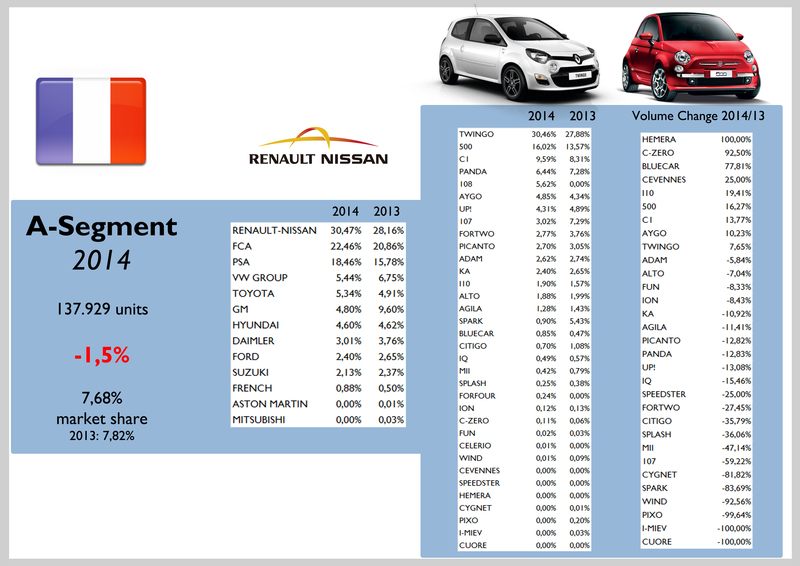 VW Group, Ford, GM, Toyota and Hyundai lost market share. 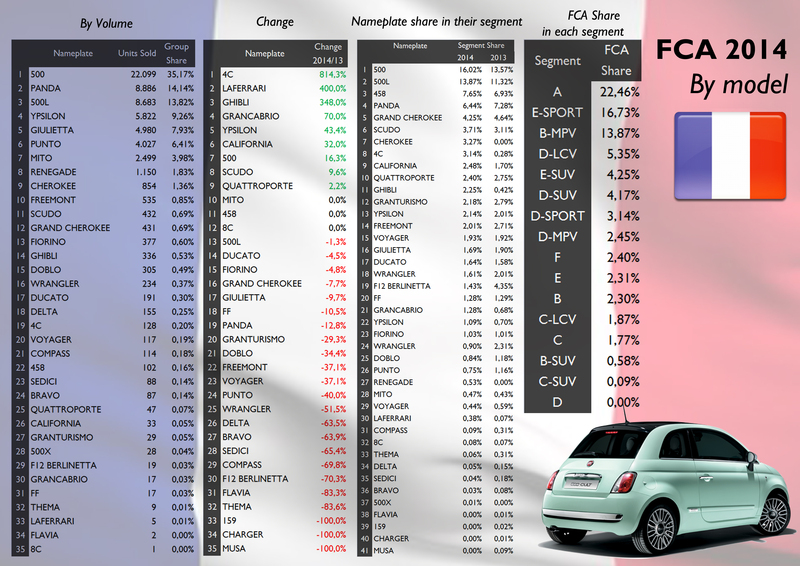 FCA sold 63.000 cars, up a tiny 1,2% thanks to the great job of Jeep brand and Lancia (France was perhaps the only market where its sales went up). 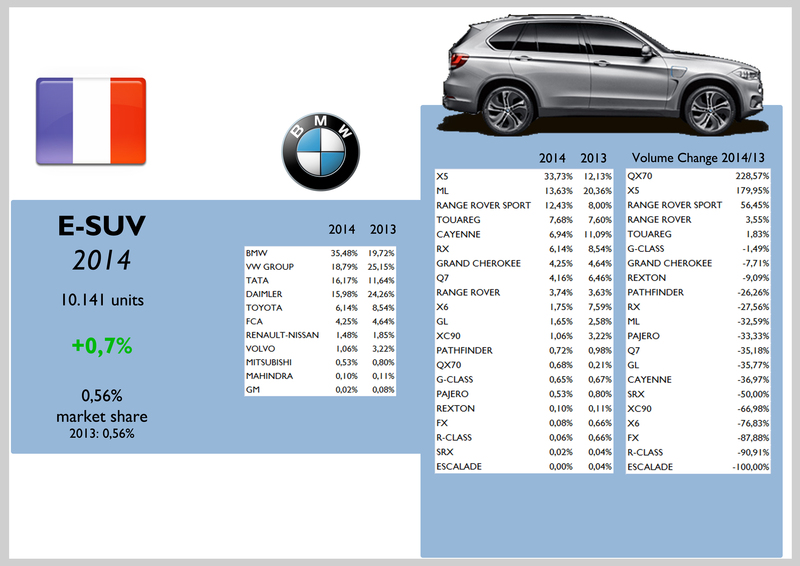 Due to the success of the Maserati Ghibli (in terms of demand growth) and the Jeep range, the segments within the group to post the best results were the E and SUV ones. 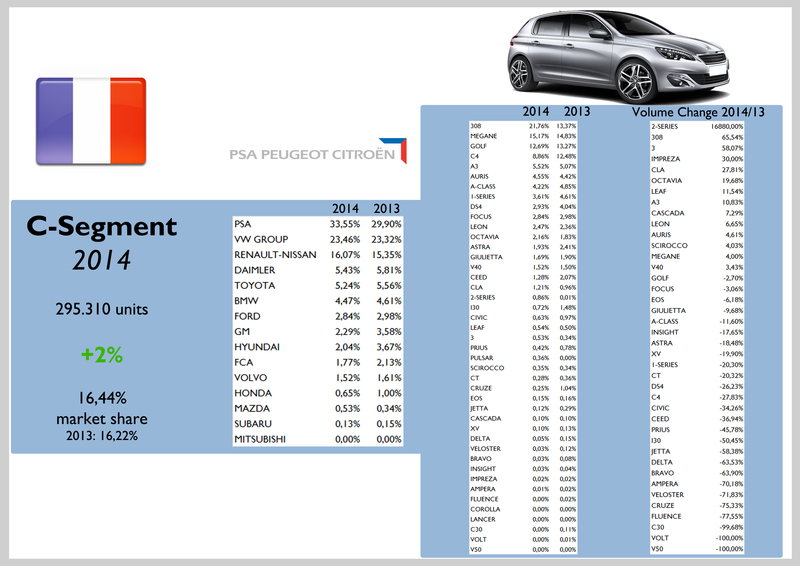 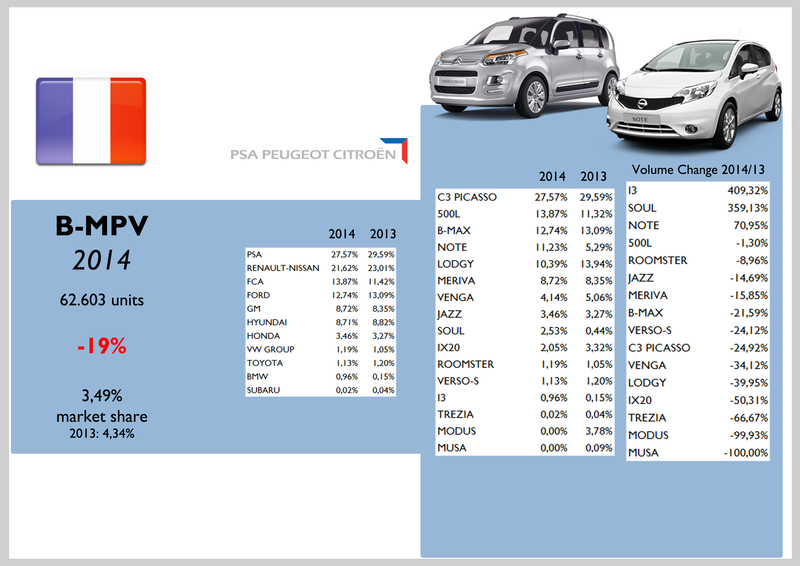 Anyway total sales continue to rely on the city-cars (almost half of the total). 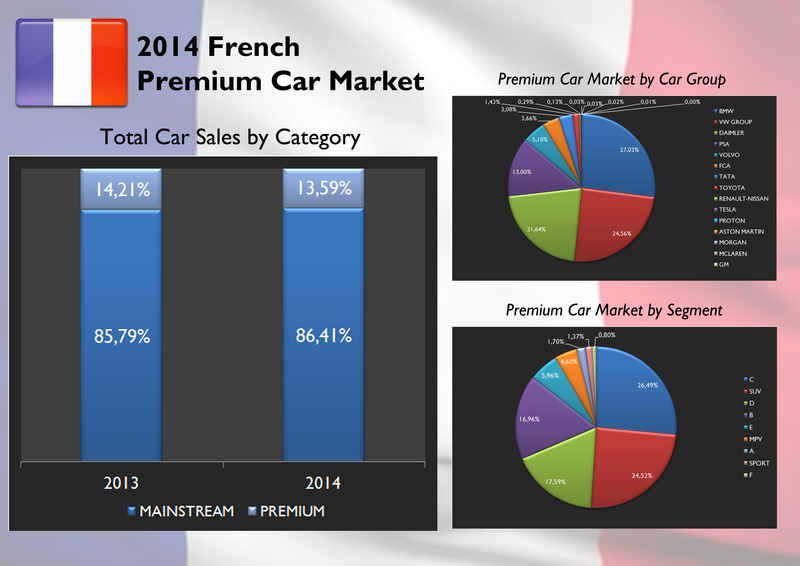 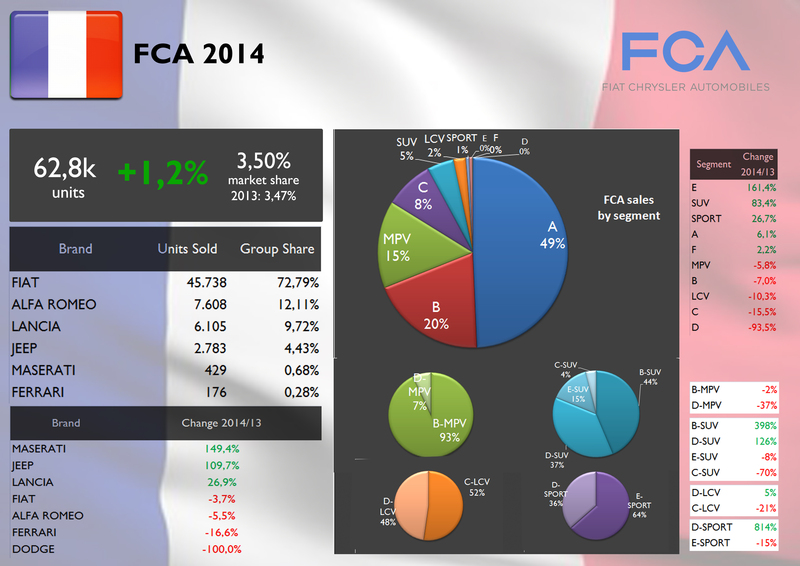 The 500 counted for a big 35% of FCA’s sales in France. 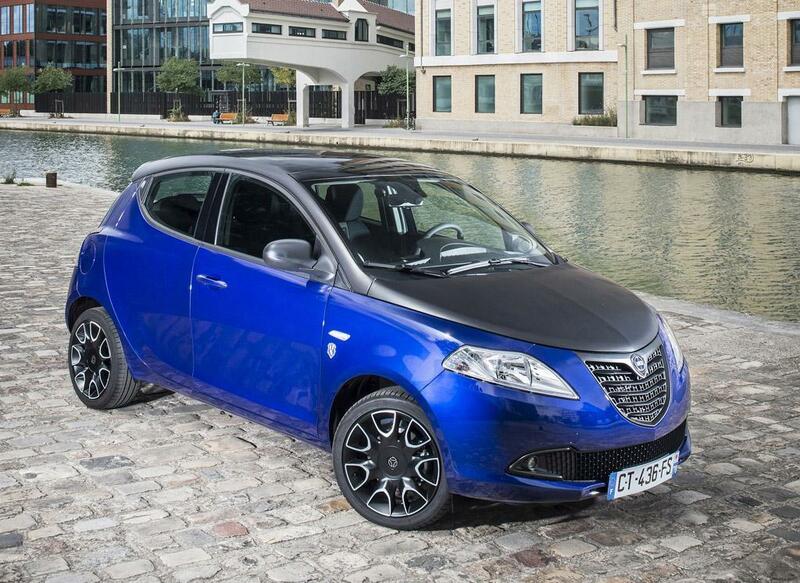 The Lancia Ypsilon demand advanced an incredible 43% outselling the Fiat Punto and the Alfa Romeo Giulietta. 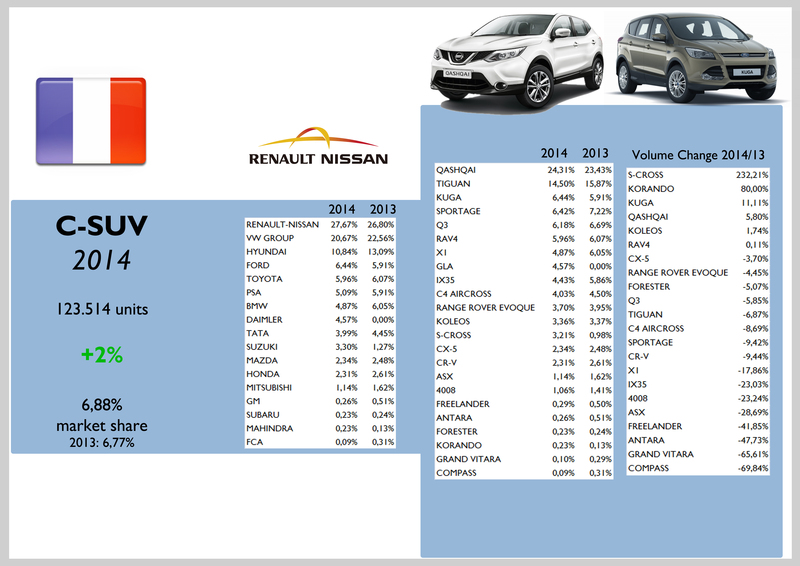 The Jeep Renegade occupied the 8th position in FCA’s ranking by model.